Adobe today confirmed that the Flash Player bug it patched Sunday is being used to steal login credentials of Google's Gmail users. The vulnerability was patched yesterday in an "out-of-band," or emergency update. The fix was the second in less than four weeks for Flash, and the fifth this year. A weekend patch is very unusual for Adobe. "We have reports that this vulnerability is being exploited in the wild in active targeted attacks designed to trick the user into clicking on a malicious link delivered in an email message," said Adobe spokeswoman Wiebke Lips in response to questions today. 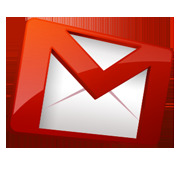 "The reports we received indicate that the current attacks are targeting Gmail specifically. However, we cannot assume that other Web mail providers may not be targeted as well." According to Adobe's advisory , the Flash vulnerability is a cross-site scripting bug. Targeted attacks that try to steal account information are commonplace, but they've been prominent in the news since last Wednesday, when Google accused Chinese hackers of targeting senior U.S. government officials and others in a long-running campaign to pilfer Gmail usernames and passwords. China has denied Google's allegations . The Federal Bureau of Investigation (FBI) is looking into Google's charges. Google, which bundles Flash Player with Chrome, also updated its browser on Sunday, refreshing all three of its distribution channels -- stable, beta and dev -- to include the patched version of Flash. Adobe rated the bug as "important," the second-highest ranking in its four-step threat scoring system. In Adobe's scheme, that rating indicates that attackers may be able to access data on the victimized computer, but cannot plant malware on the machine. Although most Flash vulnerabilities can also be exploited using specially-crafted PDF documents -- Adobe's Reader includes a component named "authplay.dll" that renders Flash content in PDFs -- Adobe said it wasn't sure whether its popular Reader contained the flaw. "Adobe is still investigating the impact to the Authplay.dll component," the company's advisory stated. "Adobe is not aware of any attacks targeting Adobe Reader or Acrobat in the wild." While Adobe did not say whether Reader -- and the for-a-fee Acrobat -- will be patched, the programs are slated for an update June 14 to fix other flaws the company has previously acknowledged in authplay.dll. Users running browsers other than Chrome can download the patched version of Flash Player from Adobe's site. Flash's update mechanism -- added to the Mac edition just last month -- should kick in to offer the patched plug-in. This story, "Hackers Exploit Flash Bug in New Attacks Against Gmail Users" was originally published by Computerworld.